“Sugar” Rashad Evans is a mixed martial artist currently fighting for the UFC’s Light Heavyweight division where he is a former UFC Light Heavyweight Champion. The Lansing, Michigan native was the winner of the Heavyweight division of the Ultimate Fighter season 2. Rashad has quality victories over MMA stars Stephan Bonnar, Jason Lambert, Michael Bisping, Chuck Liddell, and Forrest Griffin. He has one draw on his record against Tito Ortiz and his only loss came when he was defending his UFC Light Heavyweight title against undefeated Lyoto Machida by way of knock out at UFC 98. The first challenger to Rashad’s title was the dangerous, and undefeated Lyoto Machida and the fight was scheduled for UFC 98 at the end of May, 2009. Lyoto Machida came out swinging for the fences and caught Rashad off guard. In the second round Lyoto landed a barrage of accurate punches and eventually caught Rashad with a right hand that connected on his jaw and sent Rashad to the mat unconscious. It was Rashad’s first loss and the first time he had been knocked out. Rashad is currently on the Ultimate Fighter 10 as a coach opposite of Quinton “Rampage” Jackson. The two coaches will square off against each other at UFC 107, following the conclusion of the TUF season 10. Rashad Evans was set to fight Forrest Griffin, the Light Heavyweight champion of the UFC, at UFC 92 on December 27, 2008. Fans still saw Rashad as a heavy underdog and in the opening two rounds, Forrest controlled most of the fight with constant pressure and effective striking. Griffin was throwing low leg kicks consistently and Rashad caught a leg kick in the third round and countered with a strong right hand that put the champion on the mat. Rashad followed Griffin to the ground and finished the champion with a strong showing of ground and pound, scoring Rashad Evans a TKO victory. Evans was crowned the new Light Heavyweight champion of the UFC. At UFC 88, Rashad was matched up against the great Chuck “the Iceman” Liddell, a legend in the sport and one fo the most feared strikers in the sport. Rashad was a hige underdog going into the fight and most of the world thought that this would be an entertaining win for the Iceman. Rashad shocked the world as he knocked Chuck Liddell out cold in the middle of the second round with a vicious KO punch that landed right on Liddell’s chin. Rashad was now a legitimate contender in the Light Heavyweight division, and after the fight, UFC president Dana White announced that Rashad’s next fight would be his first title shot against Light Heavyweight champion Forrest Griffin at UFC 92. Following the show, Evans cut weight in order to drop to the Light Heavyweight division, figuring he would have more success in a lower weight class. In his first ever fight under the UFC contract, Evans took on former TUF season 1 semifinalist Sam Hoger. On April 6, 2006 Rashad fought Hoger and defeated him by split decision despite almost being submitted in the second round via a kimura submission. Only a couple of months later, Rashad was scheduled for another fight against TUF season 1 finalist Stephan Bonnar. Evans had a much better fight, maintaining control of the fight with repeated take downs and a number of slams at the center of the ring in way to securing a majority decision victory of Bonnar. Rashad won the fight with ease and just three months later Rashad was scheduled to face Jason Lambert at UFC 63. Lambert was seen as Rashad’s first real test at the light heavyweight division due to the eight fight win streak Lambert was riding going into their fight. From the opening bell of their fight, Rashad came out and dominated and controlled the fight early on. He took Lambert to the ground early in the second round and went on to knock Lambert out from the mount while dropping bombs on him until the referee stopped the fight. It was Rashad’s first knock out victory in over two years. A few months later, Rashad was scheduled for another fight where he has the main event for the UFC Fight Night 8: Evans Vs. Salmon. His opponent was Sean Salmon, a very successful collegiate wrestler who had an impressive 9-1 professional MMA record. During the first round of their fight, Salmon looked to have the slight edge, as he scored two takedowns and suffered little damage as Rashad felt him out for the first round. The second round proved to be a whole new game as Rashad settled into his routine and scored a vicious knockout kick to the head that left Salmon unconscious on the mat for several minutes after the fight. Sean Salmon was eventually carried out on a stretcher to brought to the hospital. The kick opened the eyes of many fans and showed them that Rashad was more dynamic of a fighter than most took him for. Rashad’s impressive knockout victory over Salmon opened the door to new, tougher competition as the UFC scheduled Rashad to fight the former UFC Light Heavyweight champion Tito Ortiz. Rashad fought Tito very tough and the fight went to the judges scorecard after three hard fought rounds. All three judges scored the bout a 28-28 draw. Tito Ortiz had won two of the three rounds but was deducted a point for grabbing the cage to stop a takedown attempt by Rashad. Immediately following the fight Tito Ortiz asked for a rematch with Rashad and initially Dana White had promised a rematch, but it never happened because Tito Ortiz was leaving the UFC. Instead, Rashad was given a main event fight against Michael Bisping, a fellow Ultimate Fighter season 3 champion and undefeated Light Heavyweight fighter, at UFC 78. Like Rashad’s last fight, both fighters went the distance and it came down to a decision by the judges. Rashad Evans was scored the winner of two of the three rounds by two of the three judges, giving Rashad a win by split decision and handing Bisping his first loss. In 2004, Rashad Evans was under the training of veteran wrestler and MMA star Dan Severn and went on to compete in his first five professional MMA fights, where he dominated everyone he stepped in the ring with. 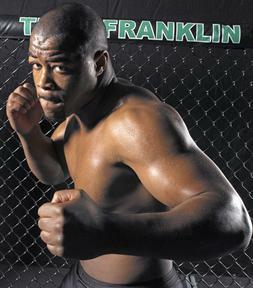 With a perfect 5-0 record, Rashad was selected as one of the nine Heavyweight participants to compete on the Ultimate Fighter season 2. Standing at only 5 feet 11 inches, and weighing a mere 225 pounds, Rashad was the shortest and second lightest MMA fighter competing at the Heavyweight division. Because of his serious size disadvantage, it was no surprise that Evans was a heavy underdog for each of his fights but he was able to defeat Tom Murphy, Mike Whitehead, and Keith Jardine to make it to the season finale for the heavyweight division. In the season’s finale, Rashad Evans took on the 6 foot 7 inch giant Brad Imes and defeated him by way of split decision. The victory had shocked most of the MMA world and awarded Rashad with a three year, six figure contract with the UFC and a brand new car. Following the show, Rashad started training at Greg Jackson’s Submission Fighting Camp where he was training partners with fellow TUF:2 cast member and good friend Keith Jardine. Rashad Evans was born September 25, 1979 and is one of eight children. He attended Niagara-Wheatfield High School in New York where he was a two-time All-State wrestler. He also played for the his high school’s football team as a running back when on offense and a safety when on defense. In 1998 Evans graduated from high school and went on to attend Niagara Community College where he walked on with the wrestling program, and, in 2000, won the National Junior College Championships at 165 lb. Rashad transferred to Michigan State University the next year and competed in the 174 lb division 1 weight class. He started for MSU for three straight years and put together a 48-34 record over the three years. During the three years, Evans defeated the great wrestling legend Greg Jones, a feat only two other collegiate wrestlers were able to do. 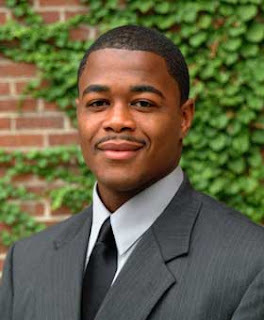 Rashad Evans graduated from Michigan State with a degree in Pyschology and in 2005, he became the assistant coach for Michigan State’s wrestling program.